Contact us for smaller group, or private tour prices. Ascent of Mount Ararat (5.165 m), the highest mountain in Turkey. 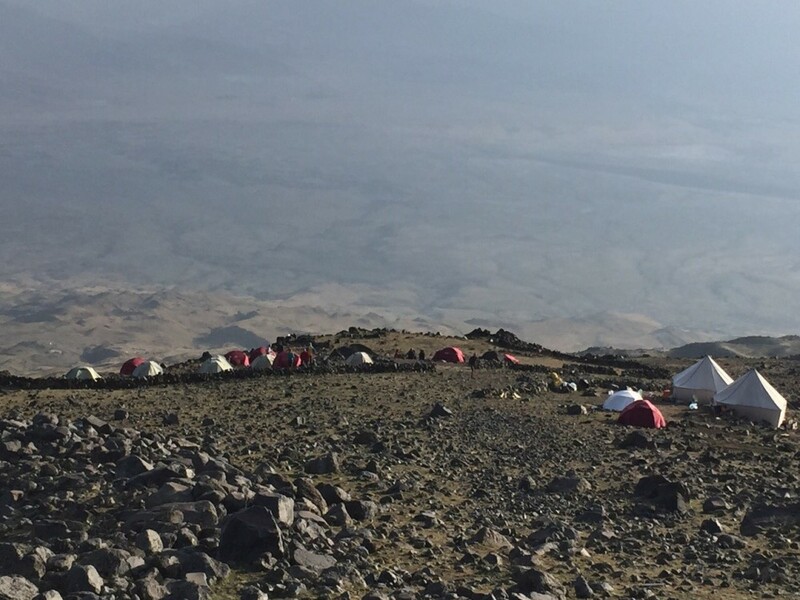 The ascent of the 5000m high mountain, technically graded as fairly easy takes place along the only the permitted route via two camps. The hospitality of a Kurdish nomad family during a homely evening meal will be filled with many unforgettable moments. Arrival to Van, transfer to hotel, dinner and overnight stay in hotel. Breakfast, transfer from Van to Dogubayazit with a stop at a waterfall Muradiye. Packed lunch, Accommodation, dinner, overnight in hotel. Breakfast, transfer from the hotel to the starting point of our ascent (2.200 m). Ascent (about 4 hours) to Base Camp 1 (3.200 m). Packed lunches. Luggage will be transported by horses. Dinner, overnight stay in tents. Breakfast, ascent for acclimatization (5 hours) without baggage. 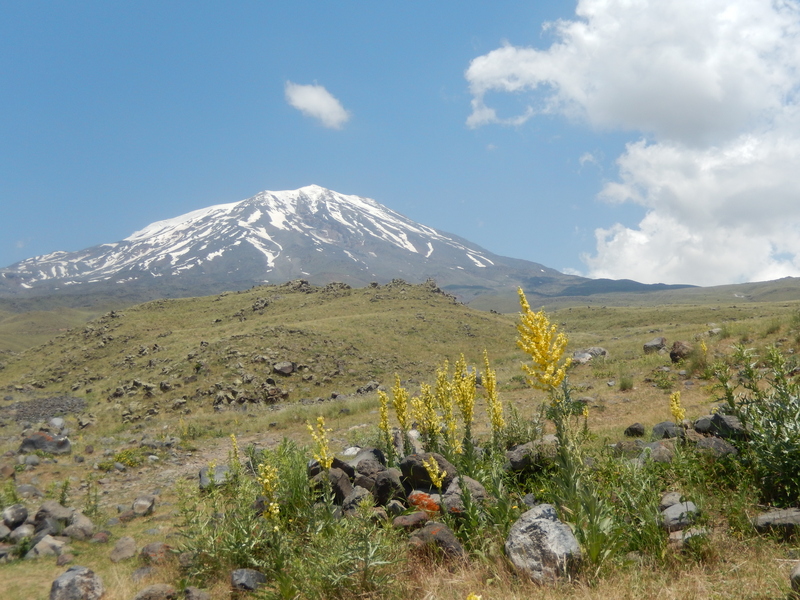 During the walking tour you can admire spectacular views of Little Ararat and views to Iran. Lunch (packed lunch). Descent to Base Camp 1, free time to relax, dinner, overnight stay in tents. Breakfast, packing of our tents and climb to Camp 2 (4.200 m, 5 hours). Luggage will be transported by horses. Packed lunch. Dinner. It will only be a short overnight stay in tents. The tents are protected from the wind behind a wall of stones. Up to the peak 5.165m (about 4 -5 hours). Start at 3 a.m. First you will have to climb over boulders and small rocks to the snow and ice cap in the summit area where, depending on the conditions, you may have to use crampons. If the weather is fine there will be time for an extensive rest at the summit. You´ll enjoy magnificent views to Armenia, Iran, Doğubayazit and Süphan. Lunch (packed lunch). Descent to Camp 2 and then a further descent to Base Camp 1 (descent takes 5-6 hours). 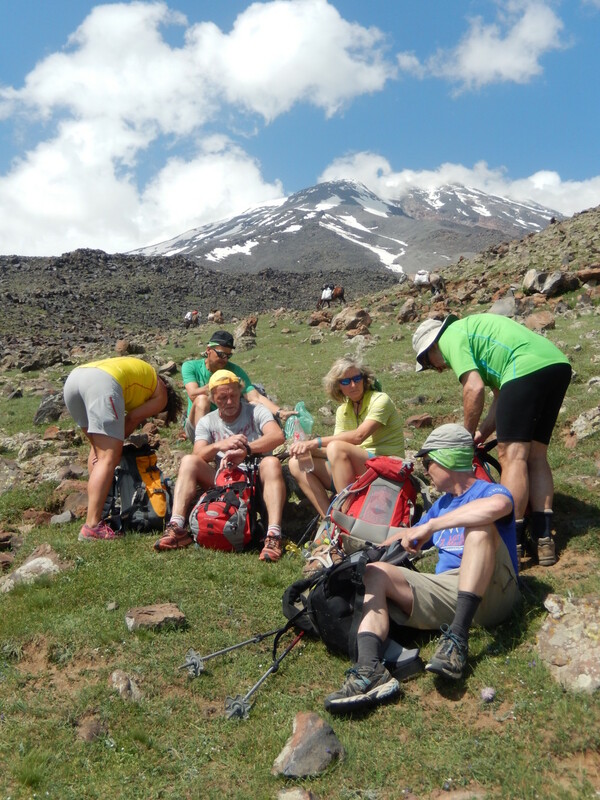 Dinner and celebration of your successful climb to the top of the mountain Ararat. Overnight stay in tents. Breakfast, descent from the Base Camp 1 to Eli, way back to Doğubayazit, free time, hamam, dinner, overnight stay in hotel. Breakfast, transfer to the airport from Doğubayazit to Van. Flight home.